YOUR TICKET TO CALIFORNIA SPORTS ADMIT ONE; RAIN OR SHINE This Vol. #10, March 15, 2019 Whole No. 162 is published by Caliente! Communications, LLC, PO Box 741, Clayton, CA 94517. SportStars™© 2010-2014 by Caliente! Communications, LLC. All rights reserved. Receive FREE Digital Subscription in your inbox. Subscribe at SportStarsMag. com. To receive sample issues, please send $3 per copy, or $8 total for bulk. Back issues are $4 each. Reproduction in whole or in part without permission of Publisher is strictly prohibited. The staff and management, including Board of Directors, of SportStars™© does not advocate or encourage the use of any product or service advertised herein for illegal purposes. Editorial contributions, photos and letters to the editor are welcome and should be addressed to the Editor. All material should be typed, double-spaced on disk or email and will be handled with reasonable care. For materials return, please enclose a stamped, selfaddressed envelope. SportStars™© and STARS!™© Clinics are registered trademarks of Caliente! Communications, LLC. Follow us on Twitter & Instagram, like us on Facebook! 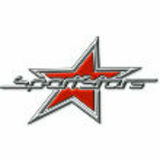 Support Your Advertisers — Say You Found Them in SportStars! National All-American and Cal-Hi Sports All-State Underclass. He struck out 71 batters and walked 23 in 54 innings. “Winning the 2018 NCS title, with my teammates, it was a feeling … you can’t really describe it,” said Harrison, who requires prompting to discuss his feats. “At De La Salle, we really trust each other and we want the best for each other.” Harrison frequently diverts to lauding teammates, coaches and the program. It’s something his coach promises is the real deal. “I think he has the natural ability you look for in a left-hander, but he also has a maturity about him,” said David Jeans, De La Salle’s coach since 2011. “He’s great with his teammates … he’s a sports-first kind of guy, but he also serves (other students) lunch in the lunchroom. As much as he could ‘big-time’ people, he’s just a normal guy. You could not tell this kid is going to play at UCLA. If you talk to all of his teachers, they love him. He’s quiet. He gets his work done. He’s like an old soul.” Which might not be true of a regular teen for whom UCLA rolled out the red carpet beFollow us on Twitter & Instagram, like us on Facebook! Harrison credits his arm slot for at least part of his success. Throwing at the same angle and having a four-pitch repertoire (fastball, slider, curve, changeup) keeps hitters off balance. And he’s still developing physically. Harrison lost 15-20 pounds in December from a bout with flu. He’s since worked hard to get his strength back up. His fastball, which is topping out around 93 mph, could easily jump up to 95 by senior year. “He’s been taught to find the edges of the plate,” said Jeans. “He’s really taking his game to another level. He’s really a crafty pitcher, as much as he’s a power guy. He’s a true, old-school baseball player.” Harrison comes by the label honestly. His maternal grandfather is Skip Guinn, who pitched parts of three seasons with the Atlanta Braves and Houston Astros between 1968-71. Guinn, who had 40 strikeouts in 36 big league innings, was a teammate of Hall of Famers Hank Aaron, Joe Torre, Phil Niekro, Joe Morgan and former San Francisco Giants managers Dusty Baker and Felipe Alou. “He’s a darn good athlete,” said Guinn, who lives in Oklahoma and, like his grandson, throws left-handed and bats right-handed. “Last time I saw him throw, he was keeping it down and away from hitters. He’s the type of kid that you tell him something — not even showing him, but telling him — once, and he gets it. His control down is something else. He’s got a good head on his shoulders. He’s got a love for the game, and that’s important.” “(Kyle) has his arm,” said Chris Harrison. “It’s totally genetic.” He has one season left in high school. Then it’s a busy summer for Harrison, who’s been invited to a number of national developmental showcases. The big question, of course, is what happens when the 2019 Major League Baseball draft rolls around. Chris has already heard from a number of “advisors,” curious about Harrison’s intentions, should he decide to forego college. “I’m still a junior, but there’s been talk,” said Kyle. “We’ll deal with it when we get there.” Spoken like a true master of California cool. ✪ Follow us on Twitter & Instagram, like us on Facebook! 2019 SPORTSTARS ALL-NORCAL BOYS FIRST TEAM MARCUS BAGLEY | Forward | SheldonSacramento | 6-4 | Jr. Bagley was every bit the game-changer he was billed to be after arriving from North Carolina as the family followed his older brother’s NBA path to the Sacramento Kings. Back issues limited Bagley later in the season but he still averaged 19.9 points and 7.3 rebounds as the Huskies were NorCal Open Division Champs for the second straight season. 2019 SPORTSTARS ALL-NORCAL BOYS SECOND TEAM DAVID AHAZIE (Campolindo-Moraga) | Wing | 6-1 | Sr.: The elder statesman of a relatively young nucleus, Ahazie earned league MVP honors and helped lead the Cougars to the CIF Div. II state title by averaging 16.5 points and 5.3 rebounds per game. LELAND ESTACIO (Franklin-Elk Grove) | Guard | 6-2 | Sr.: The shifty guard averaged 16.4 points, 5.9 rebounds and 4.4 assists for the Wildcats. Franklin was the only SJS school to beat Sheldon-Sacramento this season — Estacio had 28 points, nine rebounds and six assists in the win. JOVON MCCLANAHAN (Salesian-Richmond) | Guard | 5-11 | Sr.: Just like his twin, McClanahan was an elite defender for the Pride. But he was also the top facilitator. He averaged 3.7 assists to go with his 10.8 points per game. AARON MURPHY (Modesto Christian) | Forward | 6-7 | Sr.: The Crusaders had five players average double figures in scoring, but Murphy was the senior leader. He averaged 10.8 points and collected 7.1 rebounds. He also averaged at least one block and one steal a night. BRYCE JOHNSON (St. Mary’s-Stockton) | Forward | 6-7 | Sr.: The Rams’ double-double machine finished his final season at St. Mary’s averaging 18.1 points, 12.6 rebounds, 3.1 assists and 1.2 blocks per game. 2019 SPORTSTARS ALL-NORCAL BOYS THIRD TEAM ROBBY BEASLEY (Dublin) | Wing | 6-1 | Jr.: Beasley averaged 17.3 points and 4.7 rebounds as he and his teammates finished Top 10 in NorCal for a second straight year. THOMAS GREGARIOS (De La Salle-Concord) | Guard | 6-1 | Sr.: The gritty senior leader was always the right man in the right spot for the Spartans. He averaged 10 points, five assists on the year. JELANI CLARK (Archbishop Riordan-S.F.) | Wing | 6-3 | Jr.: Clark proved to be every bit the all-purpose talent he hinted at as a sophomore, averaging 15.5 points, 6.1 rebounds and 3.4 assists per game. JACK JONES (Jesuit-Carmichael) | Guard | 6-2 | Sr.: The sharp-shooting guard averaged 17 points and 6.4 rebounds. In back-to-back games, he set single-game school records for points (49) and 3-pointers (8). DEVIN SAPP (Archbishop Mitty-San Jose) | Forward | 6-4 | Jr.: The West Catholic Athletic League MVP averaged 17 points a game for the WCAL regular-season champs. JADEN MCCLANAHAN | Guard | Salesian-Richmond | 5-11 | Sr. Along with his twin brother, a second-teamer by the narrowest margin, McClanahan made everything go for a Pride team that won its first 31 games and finished nationally ranked. Jaden averaged 12 points a game; his on-ball defense (2.7 steals a game) was second to none. VIKTOR RAJKOVIC | Forward | Branson-Ross | 6-5 | Sr. Behind the two-time Marin Independent Journal Player of the Year, Branson won 31 games and reached the CIF Div. I NorCal Regional Championship before falling five points shy of a state finals berth. Rajkovic averaged 20 points, 11 rebounds and 2.7 assists for the Bulls. The San Francisco Chronicle named him Metro Player of the Year. BRETT THOMPSON | Guard | James Logan-Union City | 5-10 | Sr. Thompson was the spark plug for the Colts team which defeated Rajkovic’s Bulls in the NorCal final. The Mission Valley Athletic League MVP averaged just over 15 points a game and was a tenacious defender for James Logan. The Colts don’t finish No. 5 in our final NorCal rankings without him. GAVIN WILBURN | Forward | Weston Ranch-Stockton | 6-3 | Jr. Weston Ranch was NorCal’s surprise team of the year, going 31-2 and getting an invite to the NorCal Open Division. Wilburn was Mr. Everything for the Cougars. He averaged 11.6 points, 7.7 rebounds, 3.4 assists and a little more than one block a game. He and the rest of the team’s core return next season and will assuredly be in the top five of our NorCal Preseason ranks. 2019 SPORTSTARS ALL-NORCAL GIRLS FIRST TEAM KLARA ASTROM | Wing | PinewoodLos Altos Hills | 5-9 | Sr. Not only did Astrom score (16.0 ppg), rebound (6.9 rpg) and shoot 3s nearly as well and as often as teammate Hannah Jump (220 attempts, 38 percent), Astrom routinely guarded the opposing post player — including two members of this first team, Ali Bamberger and Angel Jackson. And despite giving up six inches or more to each of those future Pac-12 players, her defense helped Pinewood beat Carondelet and Salesian on its run to the NorCal Open title. 2019 SPORTSTARS ALL-NORCAL GIRLS SECOND TEAM MYA BLAKE (Bear Creek-Stockton) | Guard | 5-4 | So. : Blake led Bear Creek to the Div. I NorCal finals by averaging 20.4 points, 3.9 assists and 4.2 steals per game. ANYA CHOICE (Cardinal Newman-Santa Rosa) | Guard | 5-8 | Jr.: With Choice running the show, she and Avery Cargill were a backcourt matchup nightmare for opponents. She can shoot it, get to the rim and defend — and she’ll be back next year. JORDAN SWEENEY (Heritage-Brentwood) | Guard | 5-7 | Sr.: Everything Heritage did during its most successful season ran through Sweeney. The Idaho State-bound talent averaged 14.5 points, 6 assists, 3.6 rebounds and 3 steals. JZANIYA HARRIEL (Antelope) | Guard | 5-9 | So. : Perhaps the next great player out of NorCal, Harriel averaged 23.4 points for 31-4 Antelope, which reached the NorCal Division I semifinals. She also averaged 12.8 rebounds, 2.9 assists and 2.9 steals per game. Remember this name … KENNEDY JOHNSON (Bishop O’Dowd-Oakland) | Post | 5-10 | So. : If Johnson hadn’t been sidelined by an Achilles’ injury for much of the season, her averages (14.7 points and 8.4 rebounds) could have been higher — and conceivably so would her placement on this list. 2019 SPORTSTARS ALL-NORCAL GIRLS THIRD TEAM HUNTER HERNANDEZ (Archbishop Mitty-San Jose) | Wing | 5-9 | So. : It’s clear the Monarchs will be in good hands post-Haley Jones. Hernandez was second on the team in scoring, rebounding and assists and had a 2:1 assist/turnover ratio. AVERY LEE (Menlo School-Atherton) | Guard | 5-8 | So. : Menlo School rolled to the CIF Div. II state title thanks in great part to Lee, a team captain as a sophomore. She led the team in scoring (16.9), assists (3.8) and steals (3.2). MALIA MASTORA (St. Joseph Notre Dame-Alameda) | Wing | 5-10 | Jr.: Mastora led surprising St. Joseph Notre Dame into the Open Division, topping the Knights in scoring by averaging 14.8 per game. She also led in blocks at 1.8 per game.. MIA MASTROV (Miramonte-Orinda) | Wing | 5-11 | So. : Mastrov broke out this season, leading 28-4 Miramonte with 15.5 points — on both 3-pointers and slithery moves to the hoop — and 6 rebounds per game. She’s also an outstanding defender. JADYN MATTHEWS (Enterprise-Redding) | Forward | 5-11 | Sr.: Despite her 21.9 points and 10.2 rebounds per game, Matthews isn’t as well known as others on this list. But, in largely thanks to her, Enterprise went 28-6 and deep in the NorCal Div. II playoffs. ANGEL JACKSON | Post | SalesianRichmond | 6-4 | Sr. Jackson, who will play for USC next year, capped a great career with a trip to the McDonald’s All-American Game, and she also led her team to the NorCal Open finals. Jackson steadily improved throughout her time in high school, and though always an outstanding defender and shotblocker, she added range to her jumper and a deft touch to her passing by the time she graduated. ALI BAMBERGER | Post | CarondeletConcord | 6-2 | Sr. The Washington-bound post was a beast on the block all year long, but her game was more than just size and physicality. Bamberger’s skills around the basket allowed her to impose her will on almost all of Carondelet’s opponents, and her inside game opened up the game for her perimetershooting teammates. HANNAH JUMP | Wing | PinewoodLos Altos Hills | 5-11 | Sr. Everyone knew Jump was going to shoot 3s — but they still couldn’t stop her. She made 39 percent of her 235 attempts en route to averaging 16.7 ppg. And she wasn’t just a jumpshooter. Jump pulled down 5.8 rebounds per game for the NorCal Open champs as well. HALEY JONES | Wing | Archbishop MittySan Jose | 6-1 | Sr. Jones was merely the player of the year for some national outlets, and often tabbed as the best prospect in the Class of 2019 — and local fans will get to watch her grow her game at Stanford. Jones’ biggest advantage is versatility at both ends of the floor, and she plays the game with a basketball IQ few her age can match. PREVIOUS PAGES: Oakland Tech celebrates in the immediate aftermath of its 55-27 win over Northview-Covina in the CIF Div. V state final at Golden 1 Center. ABOVE: Oakland High is all hugs following its CIF Div. III State Championship victory over McFarland. See hundreds of more camps like these at SportStarsMag.com/Camps BASEBALL Bentley School Summer Baseball Camp Bentley School Summer Sports Camps are an opportunity for rising 5th-12th graders to develop skills and interest in a variety of sports. All camps are coed and offer instruction and coaching Monday-Friday for each session. Info: rrafeh@bentleyschool.net Branham Bruins Baseball Camps Varsity baseball coach Tony Pianto runs this camp for boys and girls ages 5-14. Camp is excellent for all skill levels. Opportunity to participate in age and skill appropriate drills and scrimmages. Two June sessions. 9am-1pm. Info: baseball.branhamsportscamps.com/ summer-camps.cfm; aepianto@yahoo.com City of Walnut Creek Baseball Camp Camp Age: 8-13 offers a fully staffed and supervised camp. Summer Camps: Registration opened Feb. 28. For more information: walnutcreekrec.org or call (925) 943-5858 De La Salle Youth Baseball Camp Offers four sessions for incoming 4th-9th graders. Emphasize proper techniques for running, stealing, throwing, receiving, hitting, bunting, pitching, catching, outfield and infield. Staff will analyze the camper in real game situations and scenarios. Info: dlshs.org/ athletics/camps-clinics; summercamps@dlshs. org or call 925.288.8100 ext. 7090 Golden Era Spring Baseball Academies Choose between our Hitting, Pitching or Infield Academies. Golden Era is also home to the Oakland Immortals Club team. Info: (925) 339-1078; goldenerabaseballclub.com/springacademy-2018 Headfirst Baseball Academy & Camps Headfirst camps are known throughout NorCal for player development. Players will learn the correct mechanics of each position. Info: Coach Michael, MJi0209@aol.com; Coach Mario, Mario74iglesias@aol.com Moreau Catholic Baseball Camps Provides customized program tailored to individual needs. Begins in weight room or on the football field working on strength training or agility. The latter half of our day will consist of defensive and offensive work on the baseball field. Open to grades 2-9. Info: 510.881.4300; OSailors@moreaucatholic.org Nike Baseball Camps Offer athletes a variety of youth baseball camp options. Depending on the camp and its unique schedule, our campers can spend the entire week at one of our many locations nationwide. Info: 1-800-NIKE-CAMP Performance Pitching With Matt Jarvis Performance Pitching in Northern California offers structured methods of training designed specifically to the develop core skills players needed to be successful. We have more than 25 years of experience in private instruction. Clay Kallam has been an assistant athletic director and has coached numerous sports at a handful of high schools throughout the Bay Area. To submit a question for Behind the Clipboard, email him at claykallam@gmail.com.